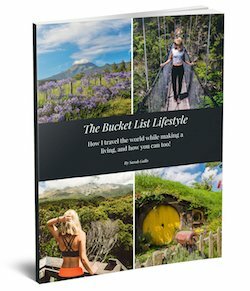 Albania doesn’t seem to be on the “travel radar” for most people. People I know appear to think of Albania as a country not worthy of the glamor that typically comes with the idea of “Europe.” Some may not know where Albania is on a map, others may not know it’s even in Europe, and most don’t know anyone that has traveled there. It’s time to redefine the opinion of Albania. A former communist country until not so long ago, Albania is slowly building up its infrastructure and economy; this is quite apparent in the capital. My immediate impression of the capital city, Tirana, was, ”Wow, this is nice.” Philip and I both agreed that Tirana connects you with a deep European feeling like any other famous European city: shop owners who clean the sidewalks with buckets of water before customers take to the street; bakeries on every street corner making your mouth water; and bars that air the latest fútbol game with men yelling or cheering. Most importantly, the Albanians, though generally limited in their English, are overwhelmingly friendly and make every attempt to understand and/or help you. 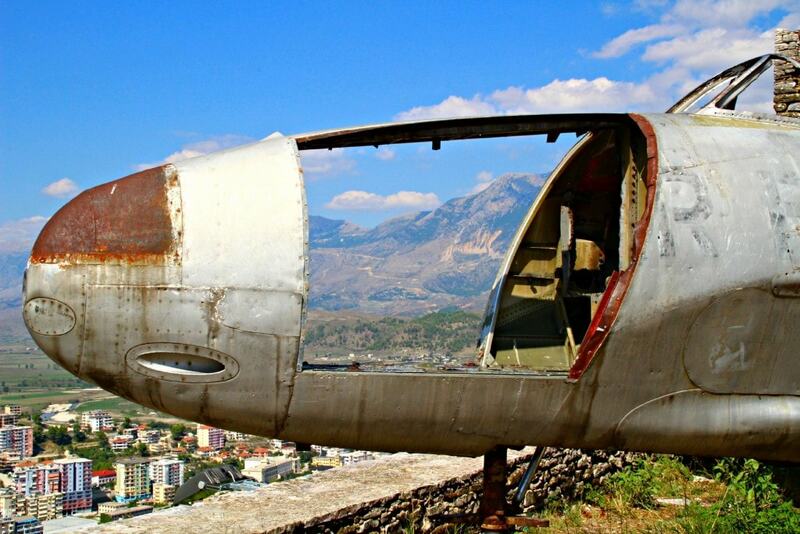 Tirana has everything any European would desire. 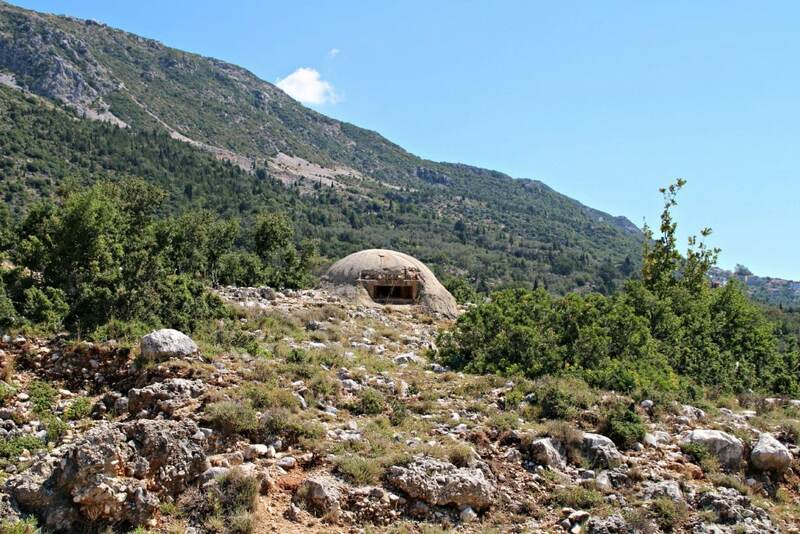 Albania has many treasures throughout the country. Whether you are crunched for time or not, the fastest, and best, way to see the country is to rent a car (5FT Tip: Supposedly the public transportation is unreliable). I contacted EuroCar Albania because I like to seek local businesses rather than major conglomerates. With quick and efficient customer service, EuroCar asked for our itinerary so that they could provide us with the proper car for our journey. I had never been asked this by a rental car company and so I was immediately pleasantly surprised with EuroCar Albania. We sent them our planned course and they responded promptly; they suggested a Sport Utility Vehicle with a Diesel engine for greater fuel efficiency. Philip was a little sour at the idea of driving a larger car through small European streets since he is very partial to tiny hatchbacks like a typical European. He went so far as to question EuroCar's judgement, but I told him we should trust their opinion and roll with it. Thank goodness we did! Arriving at EuroCar Albania, we were taken care of quickly and given a full run-down of the paperwork and car details. 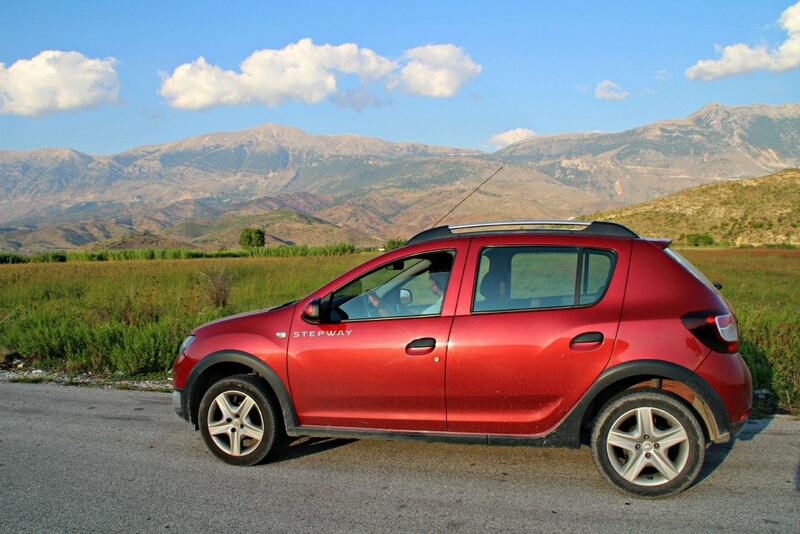 The car we were given was a Dacia Sendero Stepway (Crossover) in a flashy red color. 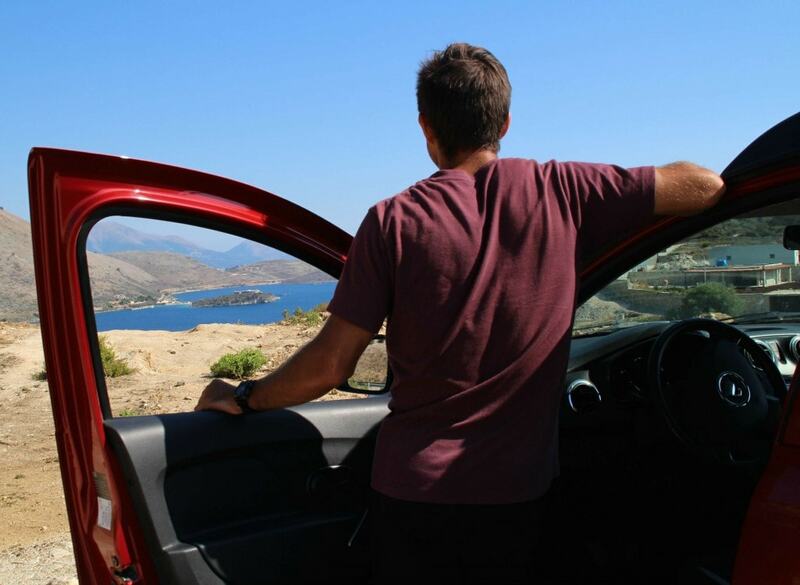 Philip familiarized himself with the car and then we were off to Ohrid, Macedonia for a day trip. Our first task was to find gas and avoid getting hit in the chaotic rotaries. We drove into a roundabout and, as Philip turned towards the far exit, a car drove straight into the roundabout without yielding and almost T-Boned the passenger side. Off to a good start. We witnessed this a few more times, and noted that Albanian drivers clearly didn't know how to use the roundabout. The roads in Albania outside of the main cities are fine, but (supposedly) they were not fun to drive. Albanian drivers are either aggressively fast drivers or extremely slow drivers. Because there is only one lane in either direction you must wait to pass; this would be possible if you could actually see around the endless turns. The Stepway responded well to an array of bumps in the road and had ample power to overtake, especially during upward climbs when most cars lacked the power to accelerate. After some stunning landscapes and an easy border crossing, we were through to Macedonia, the first stop on our roadtrip with EuroCar! 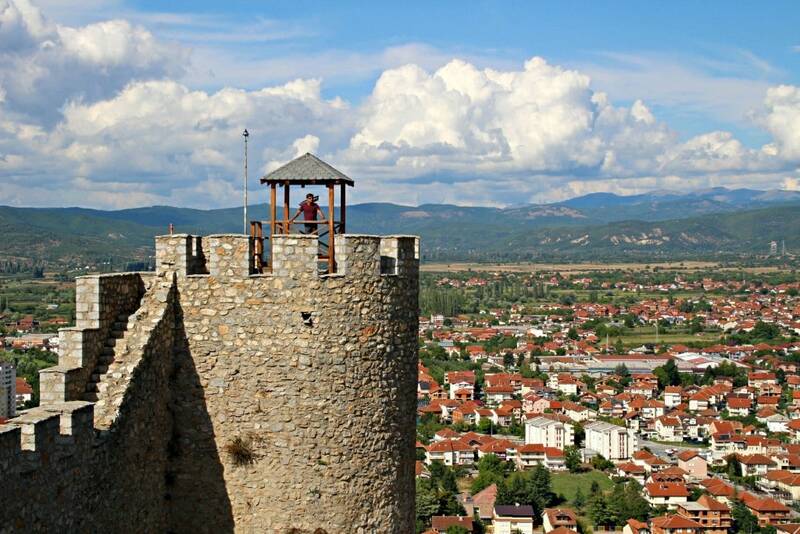 The walled in Old Town of Ohrid was not difficult to drive into, and you shouldn't have a problem either. Read about our time in Ohrid here. VLORË: Back in Albania the next day we made our way from the Macedonian border to Vlorë. The drive was long and Google Maps took us on an “adventure road” which added to the duration of the trip. This “adventure road” consisted of narrow dirt streets peppered with potholes, crowded by various farm animals, and scattered with people. Massive puddles also made for an interesting drive along this road, but the Dacia Sendero responded extremely well. What should have been a rather uncomfortable ride was turned into laugher, as we couldn't believe the road Google took us on. 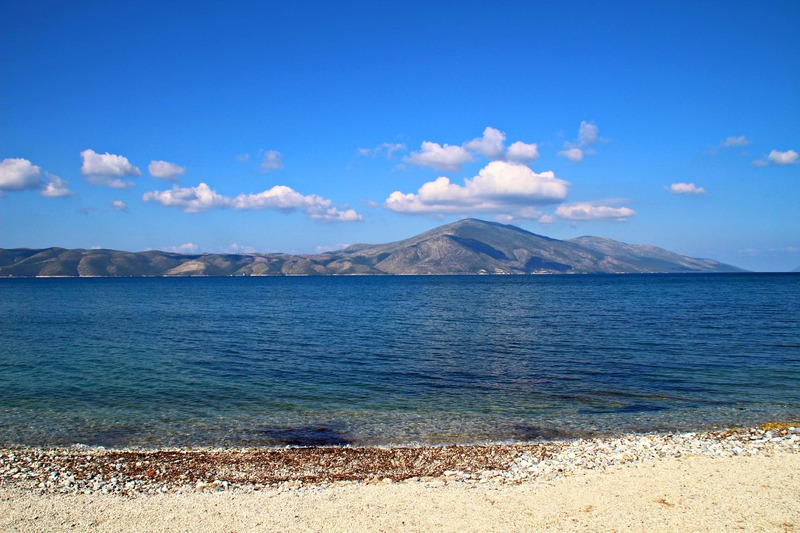 Once in Vlorë we found a hotel for the night and retired to bed early. The next day we tackled the Llogara Pass. 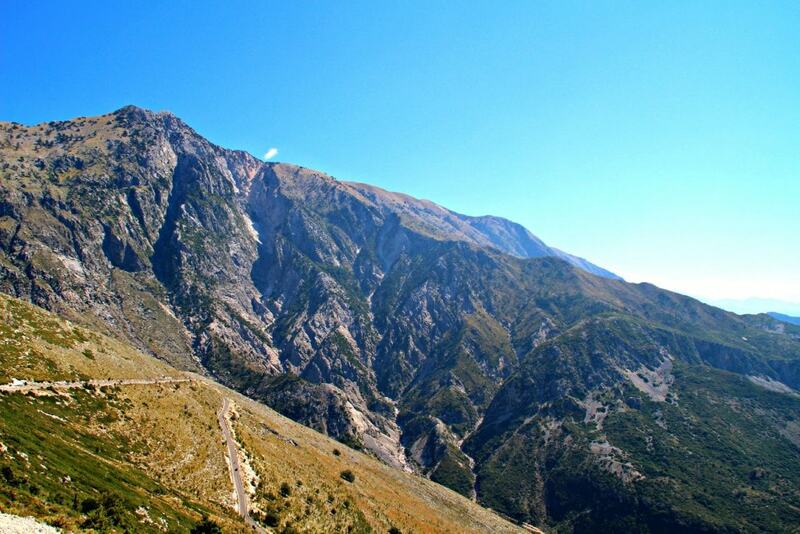 THE LLOGARA PASS: The Llogara Pass is a high altitude, mountainous pass through the Ceraunian Mountains, connecting the Dukat Valley in the north with Himara on the coastal south. The road is something like the child's version of the Transfăgărășan in Romania: decorated with hairpin turns, but narrower; fewer guard-rails, with some visibly smashed up; more imperfections in the roadwork, unlike the race-track-like quality of Romania's sky scraping road. The Dacia Sendero was again, up to the task and made the drive for us easy by erasing the pot-holes and bumps while also enabling us to jump up curbs or drive through rocky terrain for any vista we wanted. The views from the Llogara Pass were not lacking in any way. 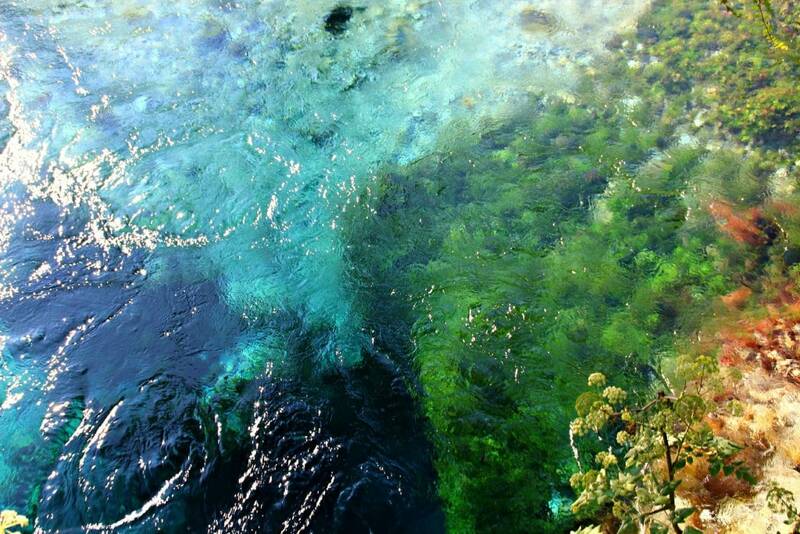 You could see the mountains alongside us and the beaches below that glowed in turquoise along its edge. 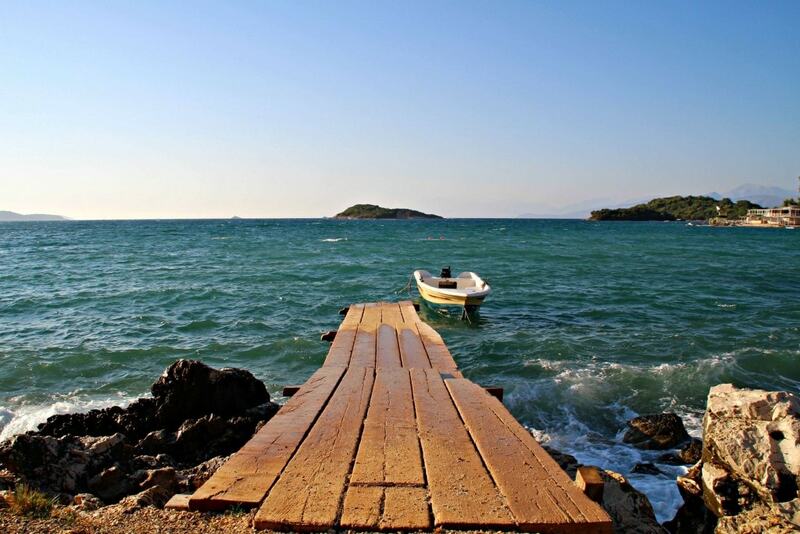 We were eager to go explore the Albanian Riviera. 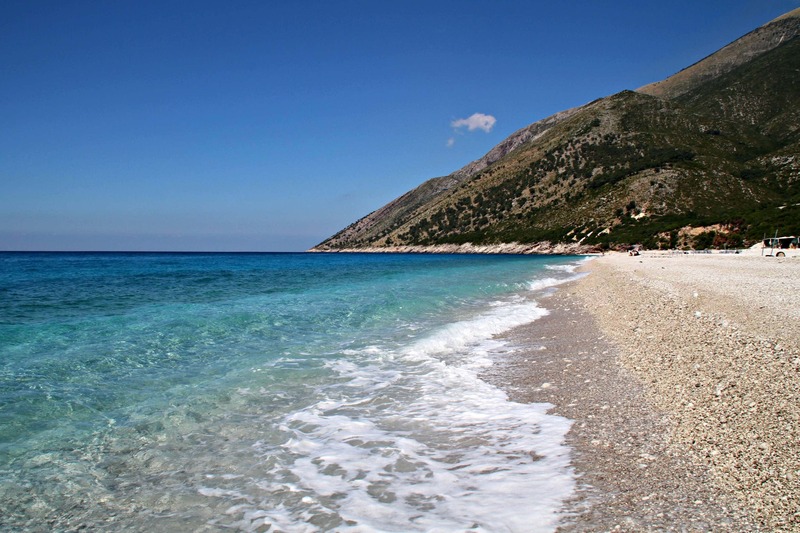 THE ALBANIAN RIVIERA: We found the beaches to be virtually empty and undeveloped. A few foundations were in place and some people had parked to enjoy the beach but, other than that, it was just you and an amazing beautiful sea. The best part? It was completely void of tourists. Southern Albania is very hot and the sea is a refreshingly cool temperature. Some beaches we passed had more infrastructure and attracted some tourism, but others were deserted. Along the way we came across an entirely abandoned military complex, castle, and a forest of olive trees leading to a white sand beach. Our drive ended in Ksamil, praised by a Lonely Planet with an eye catching photo, but an absolute let-down in person. We then made our way to CasaNoste Apartments for our evening in Saranda, or we at least tried to. On the way to CasaNoste Apartments, Google decided to take us up a road that didn't yet exist, except for the rocks that still made up what some might call a “road.” I looked on in horror as we bounced up and down, praying the bottom of the car wouldn't hit the uneven rock floor. 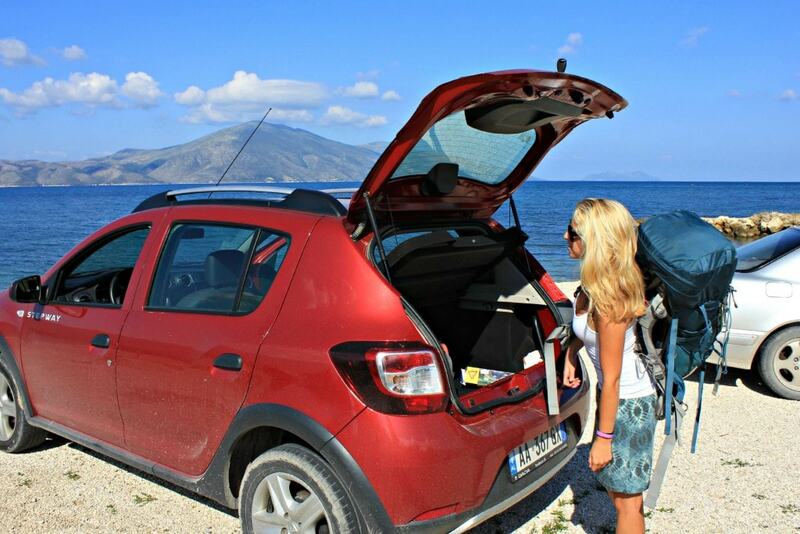 Thankfully, the Dacia Sendero never bottomed-out and actually made for a comfortable ride despite the road. Finally, we made it to CasaNoste Apartments where we made friends with an amazing Greek-Albanian and his family who owns the complex. BUTRINT: In the morning we made way to Butrint, a UNESCO World Heritage Site. The ancient city was, to our surprise, extremely well maintained and intact as far as ruins go. Walking around the entire site took us about 2.5 hours. You could walk it in 2 hours if you really wanted, or take it moderately easy like we did. 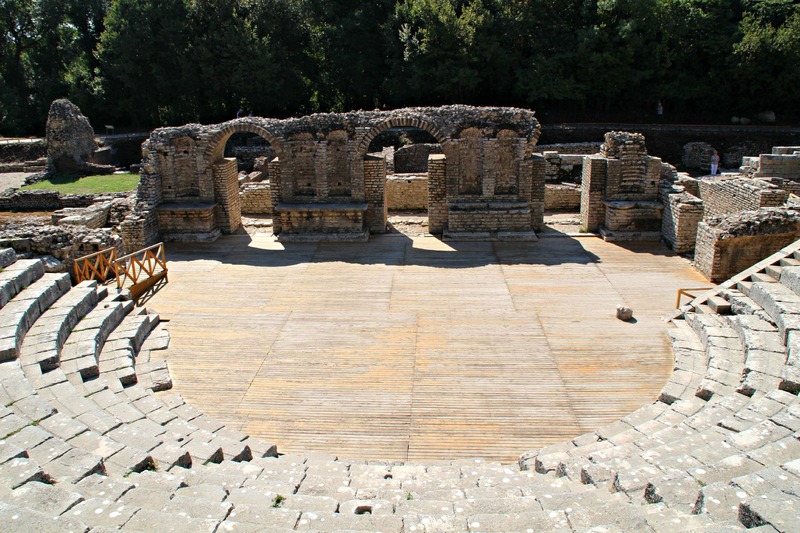 An old amphitheater was the highlight of the site in our opinion and the excavation site around the theater equally as interesting. Moreover, the entire UNESCO Site was well stationed with plaques, informing any reader what you were looking at (some areas, to the untrained eye, are indistinguishable for what they once were). 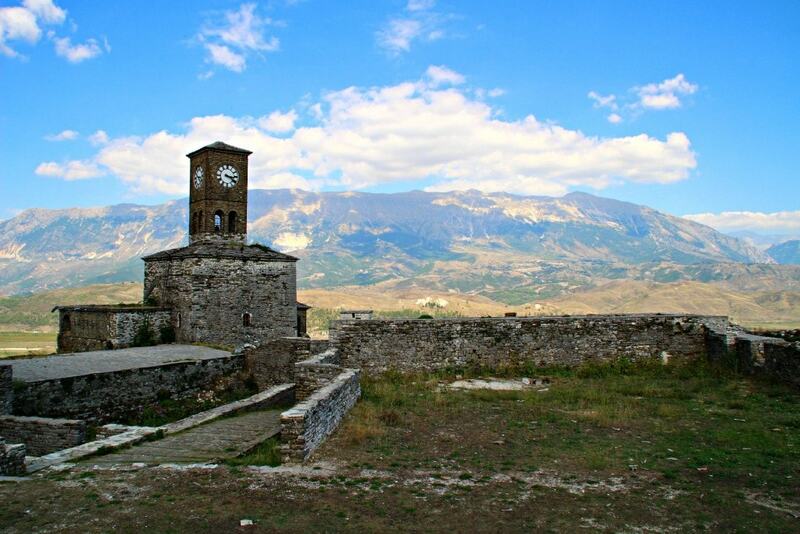 After Butrint we made headway to Gjirokastër to enrich our minds with yet another UNESCO site. GJIROKASTËR: Gjirokastër is a rather well preserved old city with an abundance of Ottoman Houses. The castle overshadowing the city stands out above all so we opted to start there. Offering impressive views over the city and old houses, the castle is worth exploring. An American spy plane, an old clock tower, a stage, and castle walls all made for an interesting stroll. BLUE EYE: After wandering the castle, we decided to backtrack and go to Blue Eye Natural Park; we thought it was past Gjirokastër but it was, in fact, 30 minutes prior. The road we had to take, the Muzina Pass, goes through a very windy mountain with extremely sharp hairpin turns. Philip had a lot of fun the first time around, and the car handled it very well in his opinion, commonly leaving many other cars far behind on the turns and uphill ascent. The second time, he wasn’t too thrilled to be driving the pass because it added to the (already) long day of driving. We made it to the Blue Eye (€2 entrance fee) and were not so impressed. We were hoping it would be so much more or bigger than it was. The positives first: the Blue Eye consists of beautiful dark and light blue water that looks almost so clear that we had to stop to make sure there was actually water. The sink hole that summoned water from what seems like nowhere bubbles fresh, cold water which would probably feel amazing at the peak of summer. And now to the negatives: there really isn't much to see, and you must hope that the sun isn't reflecting off the water too much otherwise some the marvelous blue tones will be lost. Overall, if you have the time, I suggest taking a look en route to Gjirokastër. If not, you will not miss anything. This concluded the sightseeing for the day and, because of the long ride back, we got in the car and took off for Tirana. BACK TO TIRANA: The drive was long, and the roads seemed endless as we passed through the Albanian country and mountainside. It is worth noting that the main roads in Albania are very well constructed and maintained; we were able to shave off 30 minutes for the total ETA to Tirana. Impressive, considering the distance and rather windy roads. Never did the car feel unstable as it sped up or arched around turns. The breaks were also tested once in Tirana, unfortunately. Traffic is a disaster in the capital city, and Albanians are not the best drivers (to say the least). Two lanes becomes five lanes. Pedestrians run across the road in the dark without warning and in no particular direction. Cars don't yield coming into roundabouts. Total chaos. 5FT Fact: I later came to learn that they have only been driving for about 25 years since their dictatorship was replaced by a republic, so they’re forgiven. After what felt like ages, we made it safely back to EuroCar Albania. This concluded our road trip through a very promising Albania with what looks to be a very bright future. The government is focusing on rebuilding the economy and driving tourism to those desolate, secluded and amazing beaches. Go now while they are still untouched! **Special thanks to EuroCar Albania for kindly sponsoring our roadtrip. As always, all opinions are my own.